Hello Derek fans! It's Wednesday, which means you'll be glued to your screens tonight from 10pm on Channel 4! The great man himself, Ricky Gervais, has been teasing us all week on Twitter and I don't know about you, but I can't wait! As Ricky implies in his tweet, we're in for a treat as Derek, Dougie and Kev take some of the residents to Dumpton Gap for the day. Dougie wants a peaceful afternoon, but with Derek around, it doesn't look like that's going to happen. Kev, meanwhile, leaves his mark at the seaside by writing rude words on crabs with a pen. 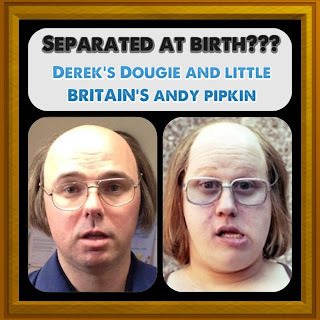 Derek also decides to sell some of his autographs to raise money for the retirement home but sadly Derek can't actually remember who the signatures belong to. He also shows off his wrestling skills in what look like some of the funniest scenes of the show! Poor Kev! Hannah meanwhile stays behind at Broad Hill Retirement Home to welcome a new resident - Mrs Shaw - whose daughter, Rebecca, recognises her from school. Her comments make Hannah question whether her life really turned out as she intended. I have to add this picture, sent into me by Stephen Hawker (@ste201079) - which made me laugh this morning! Great job Stephen! 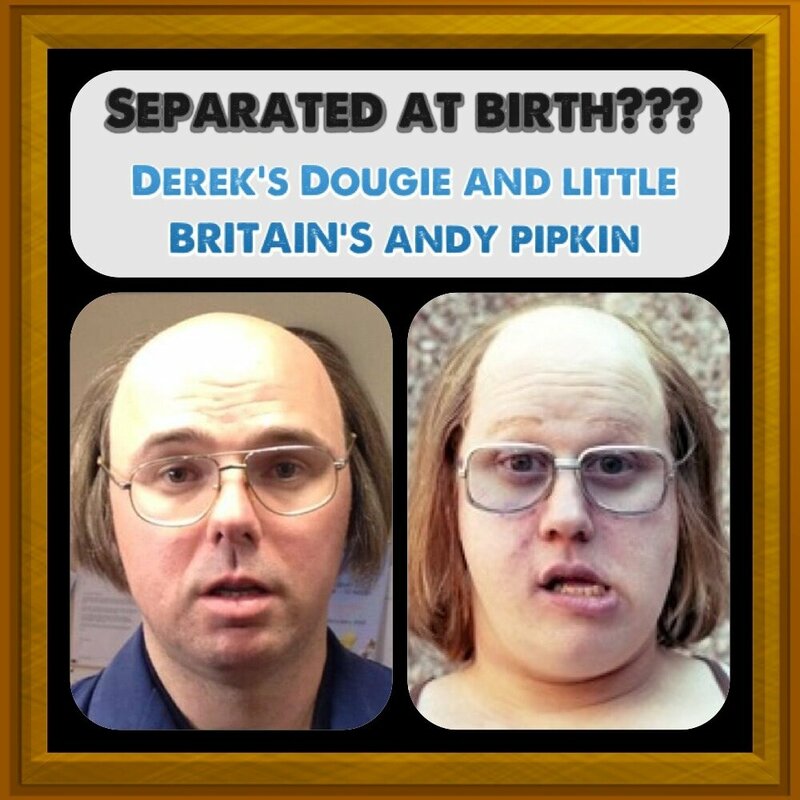 Dougie and Andy - seperated at birth? We're in for a treat tonight Derek fans! Keep sending in your artwork to tadpolehitler@gmail.com, and make sure you tweet me throughout the show tonight on @tadpole_hitler! Your comments, your feedback, your jokes and your pictures make Derek even more pleasurable than it already is!